We all know and love it — that odd time of day that encourages you to imbibe and be merry at a discounted price that has been an integral part of American culture since the Prohibition era. In the city, Happy Hour patiently awaits to melt the stress of a long day in a cubicle — a buoy tossed to overworked souls in an effort to rescue them from the quotidian nature of their lives. 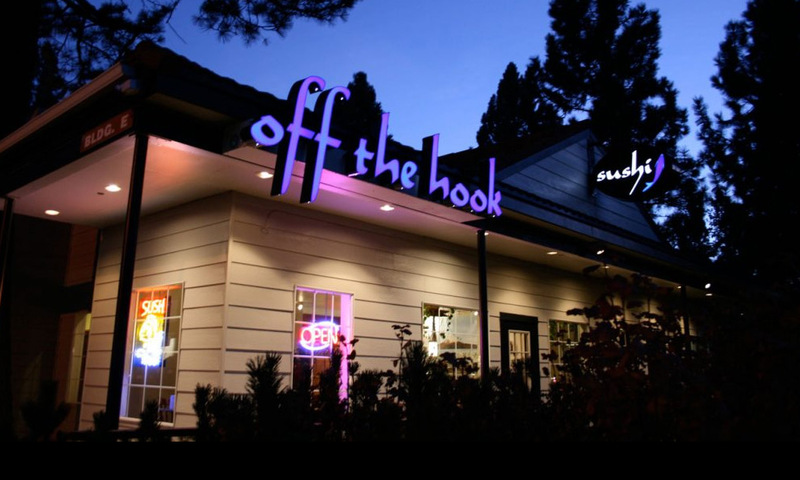 In Tahoe, however, Happy Hour aims not to rescue, but rather, treat. Here, this glorious time of day is the cherry to top a great afternoon. Stumbling off the trail after a solid day of hiking? Let’s cheers at Happy Hour! Wrapping things up from a relaxing day at the beach? Vamanos a Happy Hour! Oh, Happy Hour is over in 10 minutes? Where’s the next Happy Hour?! So, then, where does one go to celebrate and be merry? Fear not. We’ve found the five best spots for you to check out. Thanks for featuring us in your top five!!!! Read the rest of the article from the Tahoe Daily Tribune here. 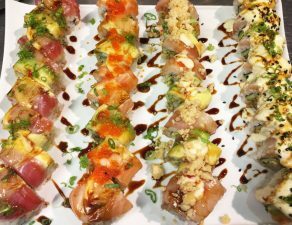 “Sushi Happy Hour? Sounds gross. Let’s not.” Said no one, ever. Let’s be real here. 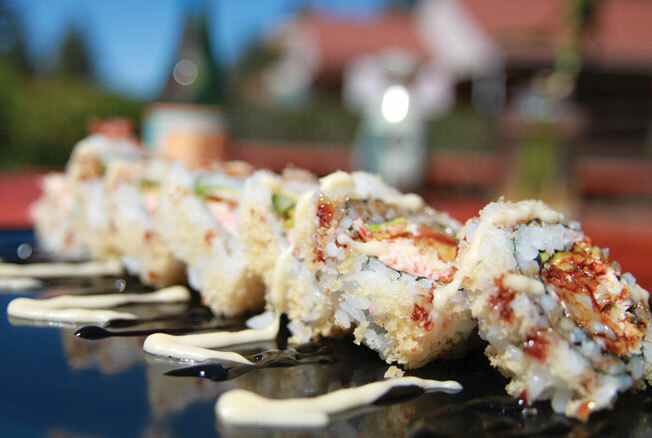 When plans are up in the air, Happy Hour sushi is always the first suggestion. It’s as reliable as a Toyota Camry when it comes to satisfying both taste and excitement. 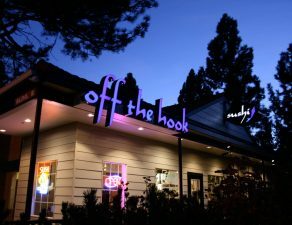 Off the Hook offers an extensive Happy Hour menu, with enough food and drink options to indulge even the pickiest of eaters. Staff won’t judge you for ordering a second vat of sake, at least not in your presence. 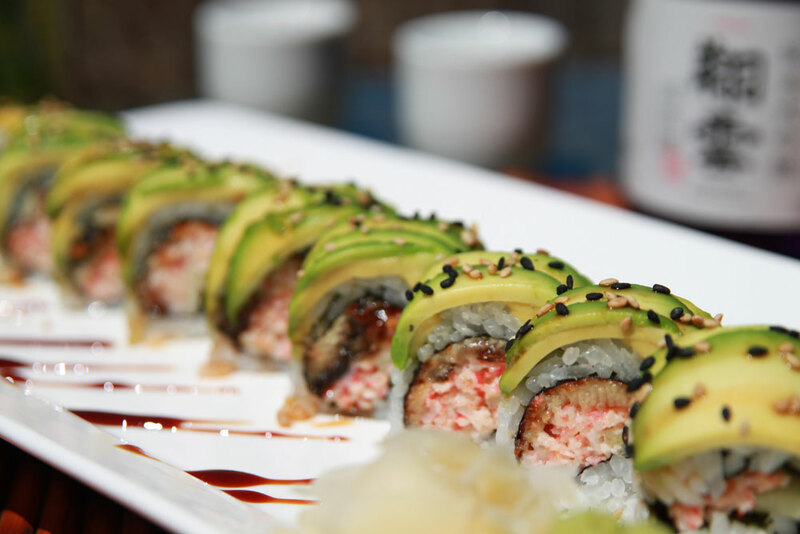 Sushi chefs are happy to chat as they craft your rolls. Arrive early, especially if you’re hoping for outdoor seating.